What is an External Rotor Motor? 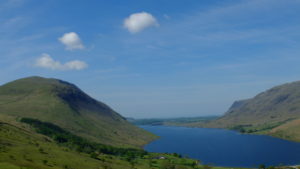 Scafell Pike is England’s highest mountain and stands at 978 metres above sea level. The Axair team took it upon themselves to scale its heights this summer and the task proved to be an excellent challenge. Taking the path from the starting point of Wasdale Head up the western side of the mountain, the team set off armed with sun cream and sandwiches. The footpath led through Lingmell Gill and Hollow Stones. Glances back down the path afforded impressive views of Wast Water. The path soon steepened and the ground became rockier underfoot as the team worked their way to the peak. After a long morning’s climb, the view at the top was at its best thanks to the clear skies and sunshine. 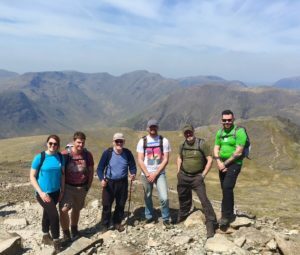 The team explored the summit cairn; England’s highest war memorial which has been recently restored by the National Trust. 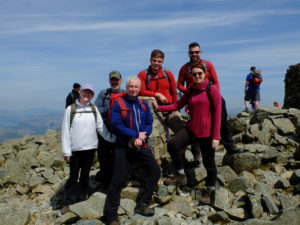 Following a well-earned picnic and break at the summit, the team started their descent. Rather than go back the way they came, they decided to take a more scenic route down that turned out to be a much quieter and more challenging trail. There was also a detour to climb the second mountain of the day, Lingmell. The promise of ‘no more uphill’ vanished as the team ascended Lingmell, whose elevation is 807m. Another short break at the top gave time to plan the route down onto the north eastern side of the mountain and back to Wasdale Head. 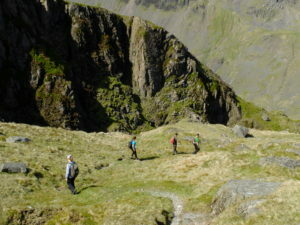 The descent lead the team through the breath taking valley of Piers Gill, a deep ravine between Middleboot Knotts and Lingmell Crag. At times, parts of the path disappeared and were replaced by rock faces to scramble over, but the views of the valley more than made up for the more difficult terrain. Following the ravine and the stone riverbed that it flattened out into, the Axair team found themselves on more level ground. 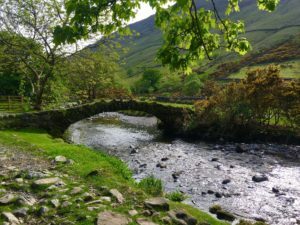 The path then led through fields of sheep and over bridges to the Wasdale Head Inn, where the team enjoyed well-deserved drink and the luxury of chairs. The total distance covered was 12 and a half miles (20.18km), approximately 30,000 steps and an ascent of 899m. Well done to everyone involved. This entry was posted on Tuesday, August 28th, 2018 at 8:54 am and is filed under Company, Environmental. You can follow any responses to this entry through the RSS 2.0 feed. Both comments and pings are currently closed.